As one of the first companies in India to be approved under the Building and Other Construction Worker's Act, MEIS has conducted Inspections, load testing and certification of Tower and Mobile Cranes, Man Baskets, and other tools & tackles. We have conducted Construction Safety Audits, Safety Trainings, as well as Accident Investigations at construction sites across India for clients like HCC, L&T, Godrej Constructions, Pratibha Industries, ShapoorjiPallonji, Kalpataru Power, NCC, Tata Projects, VSL India, Afcons, Gammon etc. 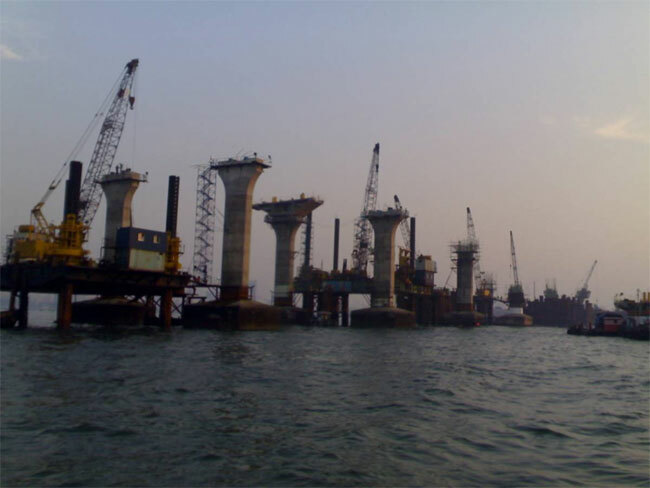 We are proud to have tested and certified all cranes (including tower and floating cranes), tools and tackles used in the construction of the Bandra-Worli Sea Link, Mumbai Metro, Mumbai Monorail, Mumbai International Airport, MCGM Underground Tunnel, and scores of other commercial and residential projects. We have installed a tensile load testing bench of 300 Ton capacity at our Digha Village facility in Navi Mumbai for the inspection and testing of lifting gears like ropes, slings, and shackles. In addition, we have over a dozen dynamometers and electronic load cells of capacities up to 50 Ton for carrying out load testing.